Throughout Key Stage 3 students will begin to learn and use the skills that they will need for the GCSE syllabus. 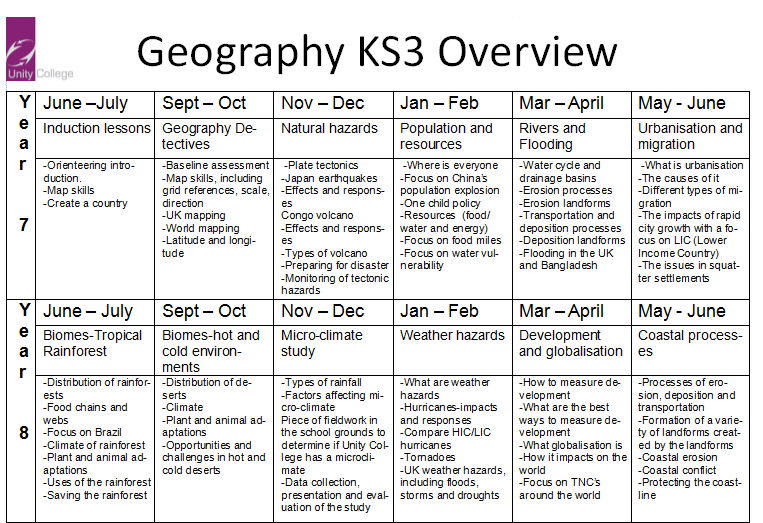 Fieldwork opportunities will be explored during Key Stage 3. Assessments will take place at the end of each unit.